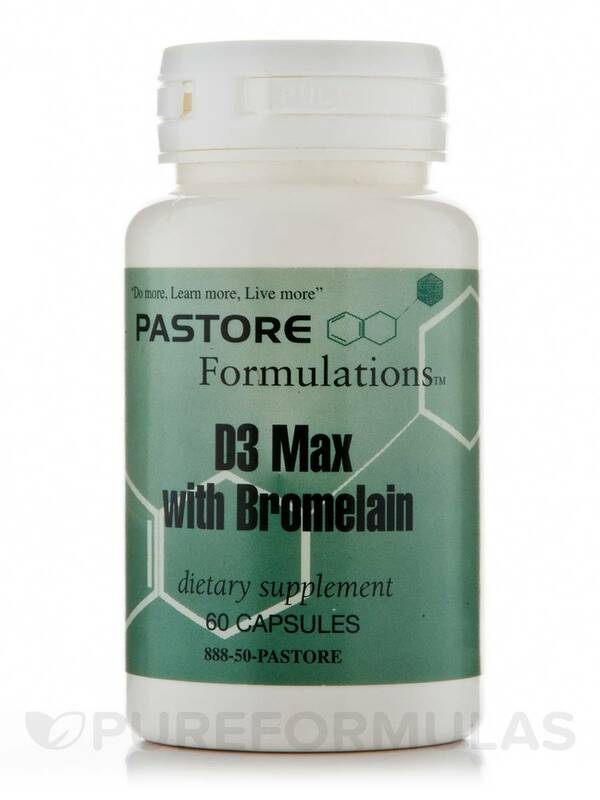 D3 Max with Bromelain by Pastore Formulations is a vitamin D supplement that may work to support overall well-being in several ways. First‚ vitamin D might help your body absorb calcium. As a result‚ D3 Max with Bromelain could potentially act to maintain strong bones and teeth. 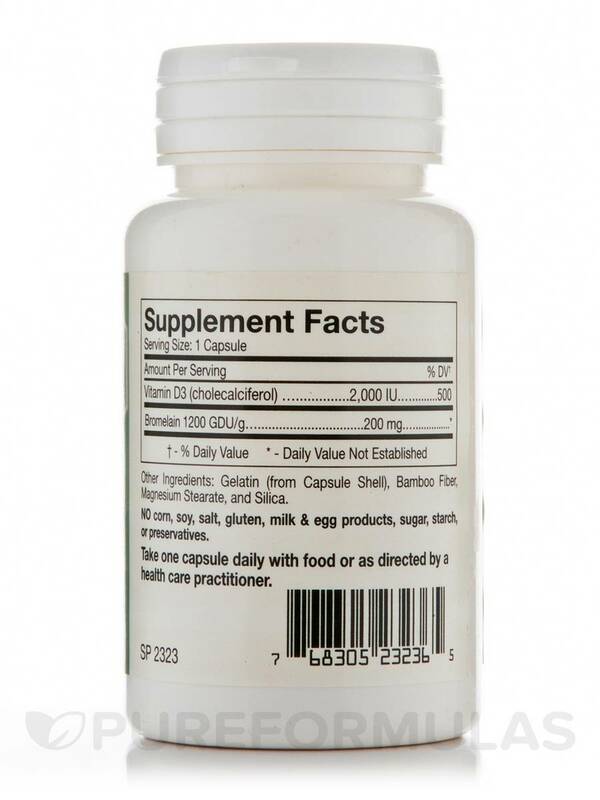 Since vitamin D is involved in regulating immune function‚ this supplement may also help address certain symptoms associated with minor upper respiratory infections‚ such as a runny nose‚ sore throat‚ or cough. For these reasons‚ every capsule of D3 Max with Bromelain provides 2‚000 IU (international units) of active vitamin D.
Last‚ Pastore Formulations has added 200 milligrams of bromelain to every serving of this supplement. Notably‚ bromelain is a plant-based digestive enzyme that could potentially work to encourage optimal vitamin D absorption. At the recommended serving size of one capsule daily‚ each 60-capsule bottle of Pastore Formulations’ D3 Max with Bromelain should last for about two months. Gelatin (from Capsule Shell)‚ Bamboo Fiber‚ Magnesium Stearate and Silica. Free of corn‚ soy‚ salt‚ gluten‚ milk or egg products‚ sugar‚ starch‚ or preservatives.